I am running very late with this blog post! I am hoping to enter in Lawn Fawnatics Challenge #4; Black, White and Bright. 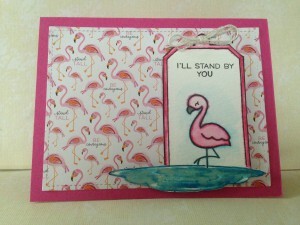 Extra Details: I began by stamping the lake, tag, flamingo, and sentiment on water color paper. I used Crayola Fine Line markers and a water brush to add color to everything. Once the images were dry, I fussy cut everything out. I prepped my card bases next. 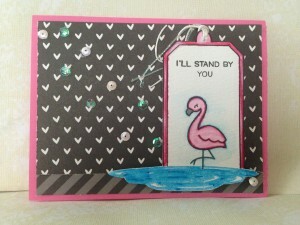 I used pink card stock for both card bases. I layered some patterned paper on each card base. Then, I added the tags with foam tape. To finish the cards, I added some sequins to the black cards and twine to each bow. 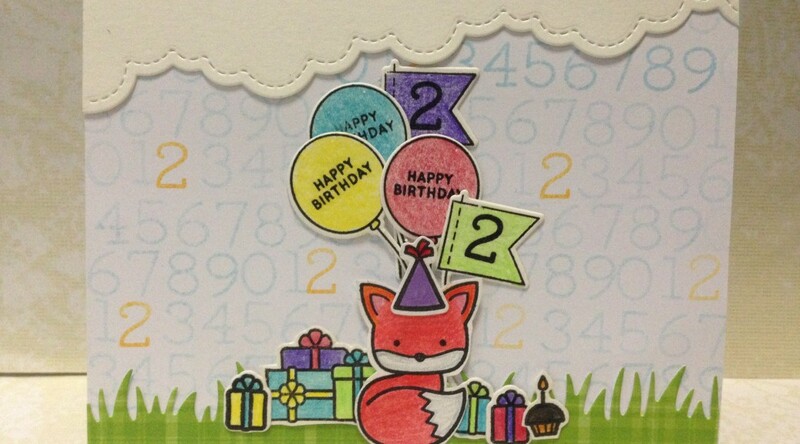 My nephew’s second birthday is coming up soon, and foxes are his favorite animal. I have also been having way to much fun making my own patterned paper lately. Full Disclosure: Also, I meant to have this done to enter in a Simon Says Stamp Monday Challenge, but I didn’t get it done. 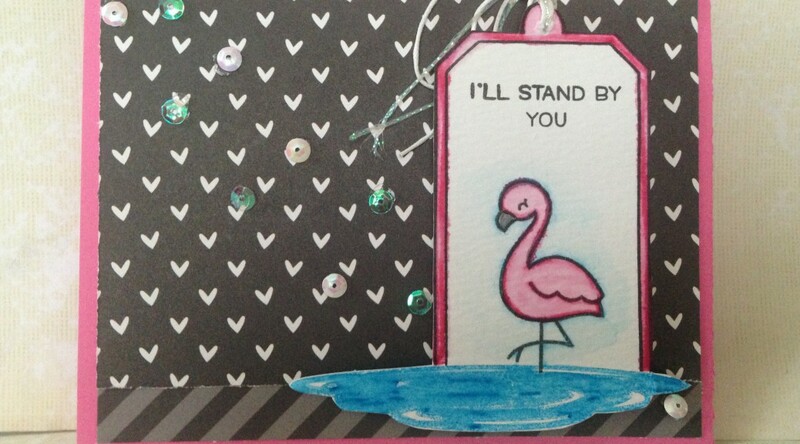 Extra Details: I began this card with a white card base. 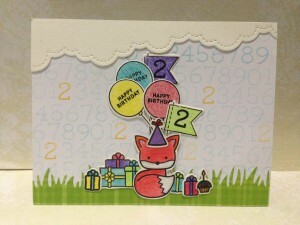 I stamped the numbers in the background in some blue Distress Ink. I used the second generation stamping. I added the 2s in with some orange Distress ink. I found the fox, balloons, flags, cupcake, hat and gifts in my box of pre colored and cut images. When I created these images, I used colored pencils to color them. Once, I found everything I added the Happy Birthday sentiment and the 2s to the balloons and flags. I die cut a cloud and grassy border. I adhered everything to my card base and the card was done.